When creating this blog I needed to find a name for it in a hurry, so I chose "Powellite". 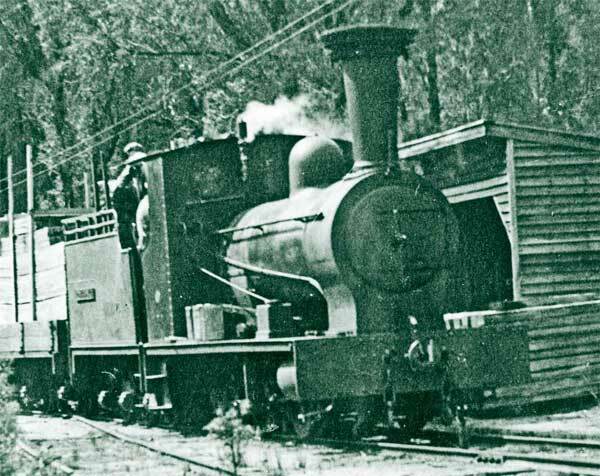 Powellite was one of the six locomotives which worked on the 3ft Yarra Junction - Powelltown tramway in Victoria, a tramway which has actively occupied my mind since 1953 or 1954. Powellite was an 0-6-0 tender locomotive built by the English firm of Bagnall in 1913. It worked at Powelltown until 1944, then spent a few years on the island of Nauru before being scrapped in the 1950s. I thank Mal Dow for allowing me to use the beautiful header photograph which was taken by his father in 1938. The chimney on the loco is not original, it was a replacement fitted by the Victorian Railways not long before this photograph was taken.